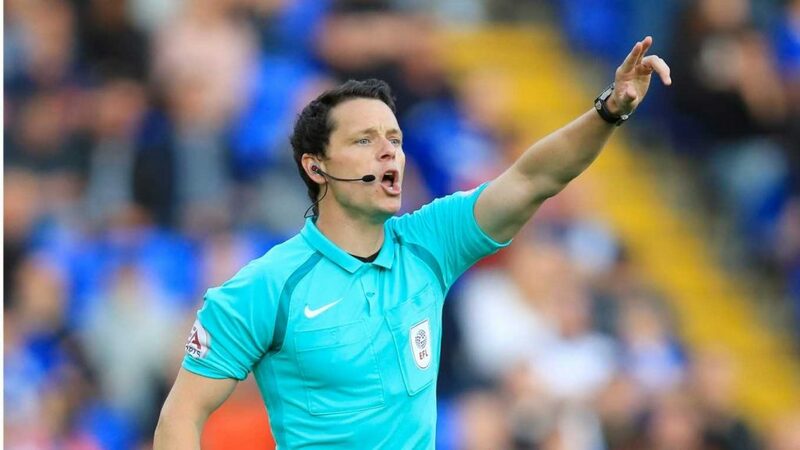 This week’s referee spotlight focuses on Darren England, who has been appointed the referee for the Ipswich Town v Swansea City Championship game on Monday, 22 April 2019. Referee England will be assisted by Matt Foley and Darren Blunden, with Lee Swabey the 4th Official for the game. Yorkshire born England, made his EFL debut as a referee in 2015, before moving onto the Championship during the 2016/17 season with his first game being QPR’s 2-1 victory over Cardiff in March 2017. He was the referee for the Sky Bet League Two Play-Off Final between Blackpool and Exeter City last season and was a linesman in the 2015 FA Cup Final. The Birmingham City game in August 2018 was the first time that Darren England had taken charge of a Swans game. The Gillingham game was the first time he had been the referee at the Liberty Stadium.